Meriva 500-SF is a curcumin-sunflower phospholipids formula using curcumin absorption-phytosome technology. Curcumin has been traditionally used medicinally and in foods for centuries in India and Asia. The antioxidant and anti-inflammatory properties of curcumin have been found to provide neuroprotective benefits. In addition to supporting brain health and fighting free radicals, curcumin has also shown to help maintain memory function, an important concern while aging. 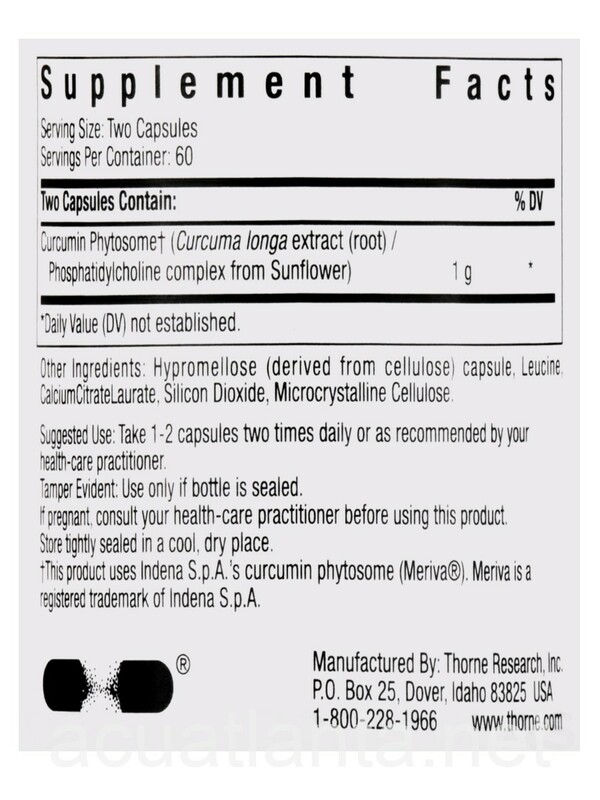 Meriva curcumin phytosome is designed to be better absorbed than other curcumin extracts.